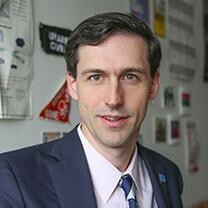 Matthew Bolton teaches courses in global politics, advocacy and diplomacy. He is adviser to Pace University New York City's award-winning Model United Nations program, which has a record of excellence in national and international conferences, including in New York, Washington DC, Oslo, Geneva and Costa Rica. Expert on the United Nations, multilateral peace and security diplomacy, global disarmament policy and humanitarian assistance in conflict. "As Americans consider how to respond to times of increasing nuclear tensions, the nuclear weapons ban prompts us to ask different questions than our politicians and generals have traditionally focused on. Rather than asking only whether other countries’ nuclear arsenals pose a national security threat or whether missile defense systems work, the ban treaty focuses our attention on the humanitarian, human rights, and environmental dimensions of nuclear weapons." The world is safer because of the Iran deal. We must not abandon it.